A man who tossed his 2-year-old daughter into a creek while she was strapped into her car seat apologized Wednesday — but not for murdering the child. Instead, just before he was sentenced to spend the rest of his life in prison, Arthur Morgan III apologized to the child's mother for the breakdown of their relationship. "I want to say I'm sorry for the deterioration of what I thought was a beautiful friendship between the two of us that blossomed into a daughter," Morgan told Imani Benton. "For anybody that was truly affected by this, I hope we can all heal from this situation, knowing Tierra is in a better place." Given the chance to explain his actions to Superior Court Judge Anthony Mellaci Jr., Morgan complained that the media published photos that made him look inappropriately angry or happy, and said he would not have worn designer clothing to court if he knew he would be criticized for it. He also said his courtroom wink following his conviction was to reassure his sister he was not upset at the verdict. Morgan was found guilty last month of murdering Tierra Morgan-Glover by tossing her into a creek, strapped into a car seat and weighed down by a tire jack, in November 2011. The girl's mother, who wore a dress embroidered with Tierra's name and photos attached to it, said she hopes Morgan suffers in prison. "I don't understand why she was taken from me," Benton said. "It does give me peace to know that she is in Heaven with God, and (Morgan) will pay for what he did to her, to me and to everyone else. No good will come to him." 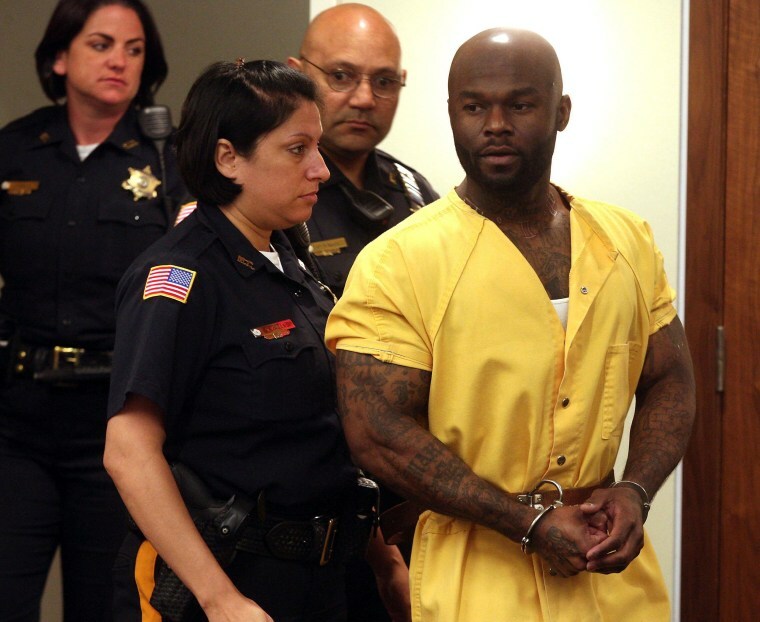 Both the prosecutor and the judge lamented that New Jersey has abolished the death penalty. "You'd be candidate No. 1 for its imposition," Mellaci told Morgan. "Your actions were horrific, unthinkable and appalling. "This child was alive when she was placed in the water in pitch darkness, and had to suffer the unthinkable action of having water rush in and fill her lungs while strapped into that car seat," the judge said. "This child suffered before she died." Prosecutors alleged Morgan killed the girl because he was angry that Benton had broken off their relationship. "It was because he wanted Imani and he couldn't have her," prosecutor Marc LeMieux said. "So he took away the one precious thing in her life." In court Wednesday, Morgan began to reassert allegations of abuse against Benton's family that he made in a letter he sent her from jail, but the judge cut him off, directing him to speak about the act of killing his daughter. Mellaci said there was no evidence the girl was mistreated in any way before her death. But in rambling comments that repeatedly sought to portray himself as a heroic figure wrongly maligned, Morgan asserted he was a good father. "As a father, my job was to provide and protect," he said. "All my actions prior to this were to make sure Tierra was safe and Imani was comfortable."